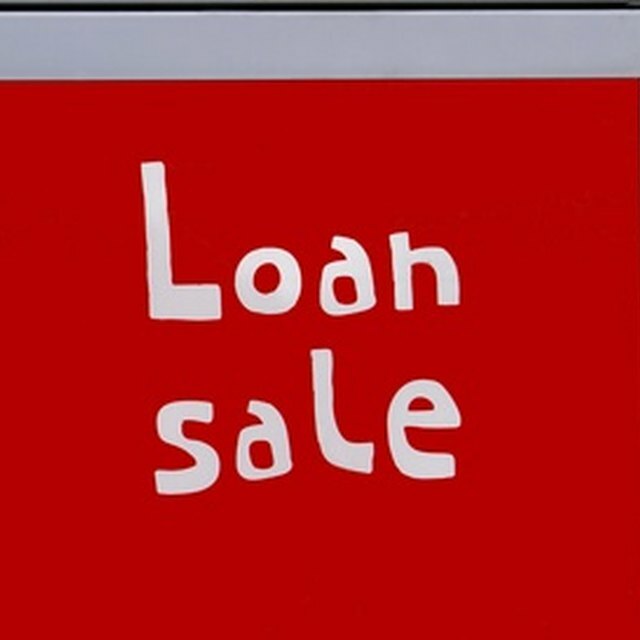 If you've reached the point in your operations where you need to borrow money, then you may be looking at a secured loan from your bank. With this type of loan, you put up collateral as a way of promising to pay your loan on time. If you miss your payments, the bank will seize your collateral, sell it and pay off the amount you defaulted. What happens next depends on whether your loan is "recourse" or "non-recourse." If you fail to pay a non-recourse bank loan, the lender can seize your collateral, but cannot sue you for any deficiency balance. You are not personally liable for the debt. There are two types of secured bank loans: recourse and non-recourse. Both require collateral such as a property as security for repayment of the loan. If you default, the bank can seize and sell the collateral to pay down the debt. With a non-recourse loan, collection activity stops there. The borrower is not personally liable for the debt, and the lender cannot come after the borrower for any deficiency, even if the collateral does not cover the outstanding balance of the bank loan. Recourse and non-recourse bank loans look the same on the surface, in the sense that a lender can seize the asset that you put down as collateral if you don't make your loan payments on time. The difference is what happens if you still owe money once the asset is sold. With a recourse loan, the lender can file a lawsuit for the outstanding loan balance, obtain a court judgment, and go after your other assets until the debt is paid in full. With a non-recourse loan, the bank is out of luck. It has no claim on your other assets and must absorb the deficiency. In most cases, you can simply walk away from the outstanding debt. Lenders prefer recourse loans because they're less likely to lose money if you default on the loan. Businesses would rather protect their assets and hold out for a non-recourse loan. Not surprisingly, there's a cost associated with the lower liability, so non-recourse loans invariably come with higher interest rates. In view of the risk, banks typically reserve these products for businesses with the best trading record and credit. What Are the Liabilities for a Sole Proprietorship? Invoice factoring – the process by which a business sells its accounts receivable to a factoring company at a discount instead of waiting for a customer to pay on 30- or 60-day terms – may also be structured as a recourse or non-recourse transaction. With recourse factoring, the business remains liable for payment of the invoices. If a customer does not pay up, then business must cover the cost. In return, you can expect lower factoring fees and an easier qualifying process. With non-recourse factoring, the factoring company takes the risk that the invoices will be paid. If the invoices are ultimately uncollectible, the factoring company and not the business must absorb the loss. To keep businesses honest and stop them from siphoning off cash in the weeks before a loan default, most non-recourse loans now have special provisions known as "bad boy guaranty" clauses. The exact provisions vary from lender to lender but essentially, a non-recourse borrower can become personally liable for the lender's losses if he commits an egregious act such as fraud, misrepresentation or filing for bankruptcy. In some cases, the loan might even convert into a fully recourse loan. If you're taking a non-recourse bank loan, be sure to learn what you're potentially liable for by carefully reading the documents.